Lone workers can make up a significant part of many workforces. They can be found in a number of different industries and sectors, from manufacturing to education. Regardless of the industry in which they work, there is one thing that all lone workers have in common, the need (and the right) to feel protected at work. Many lone workers can feel as if their safety has been neglected by their employer, as it can often be overshadowed by other health and safety protocol. There are a number of reasons why taking lone worker safety seriously, and identifying lone worker hazards can be beneficial to employers. This article will discuss why investing in lone worker solutions can be of great advantage to any employer that is responsible for the safety of lone workers. There are many benefits to having staff that feel confident and comfortable in their role. Not only does it improve relations between the staff and their employer, but it can also have an effect on performance. Lone workers are more likely to perform better if they feel safe at work, which is beneficial to both the business and staff relations. Creating an environment where staff can feel relaxed and not have to worry about their safety can also improve staff turnover numbers. This means workers may be more likely to stay with the company for longer, if they feel they are valued by their employer. Neglecting the safety of lone workers can come with a substantial price tag if legal action needs to be taken in the event of an incident or accident. By identifying lone worker hazards and preparing for them, employers also reduce the risk of any lone workers taking legal action against the business if an incident occurs due to negligence. Lone worker safety solutions are often much cheaper than the costs associated with accidents that could have been prevented. 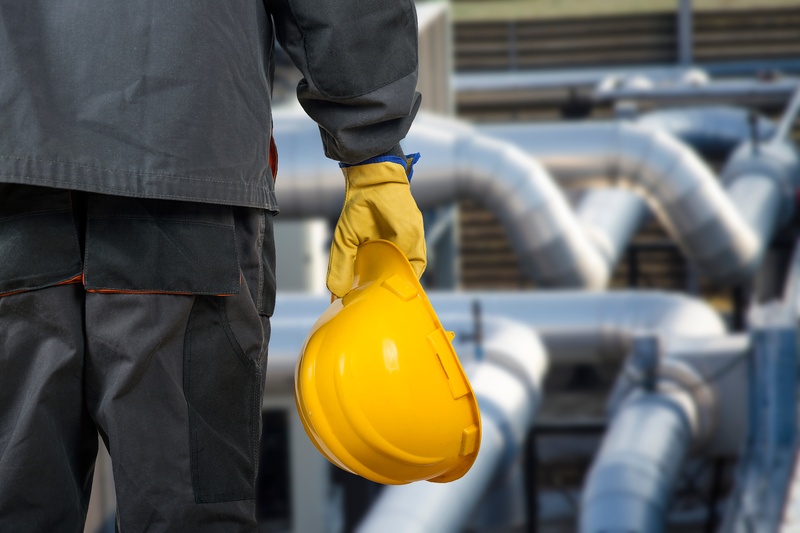 Preventing accidents should be the number one concern for health and safety managers, particularly when it comes to those involving lone workers. Taking the safety of your lone workers seriously can be beneficial to the reputation of your company. Companies that have had a history of preventable accidents as a result of negligence are more likely to be unpopular amongst shareholders, investors and potential customers. In addition to this, having a bad reputation may make it difficult for your company in terms of future recruitment. By keeping a good public image, and investing in the right protection for your workers, your business has a higher chance of succeeding in a number of different areas. Many businesses still rely on old-fashioned methods when it comes to monitoring their workforce. Using check calls to monitor workers is expensive and unnecessarily timely. The cost associated with check calls can easily add up, and it is often cheaper to invest in a remote monitoring solution. Furthermore, remotely monitoring lone workers can provide a more accurate picture of your workforce's welfare. Outdated methods of monitoring often rely on several employees to work together and complete different stages of the monitoring process. This is especially true when it comes to responding to an incident. The problem with using this method, is the greater chance for human error, or 'corner cutting'. Staff may be more likely to cut corners as a result of having a heavy workload. With an automatic monitoring system, you can rest assured that your lone workers will be protected at all times. In addition to the higher chance of human error in regards to outdated monitoring processes, there are a number of additional concerns for employers. Using phone calls as a way of monitoring lone workers can cause a number of potential issues. Phone calls rely on mobile phone signal, and often lone workers can find themselves in areas where phone signal may be poor (or non-existent). Lone workers that perform their duties in locations that are underground or in rural areas may be unable to call for help when they need it. Using mobile phones as a monitoring solution also relies on the worker being able to operate the phone to call for help. In an emergency situation, a mobile phone can be difficult to operate, even with a strong signal. For example, a worker may become trapped and be unable to move their limbs to make a call. Furthermore, if the worker has sustained a head injury, they may be unconscious. When this is the case, the worker has to rely on someone finding them, which can seriously affect their chances of receiving the treatment they need in time. What Is the Best Solution To Invest In? Remote monitoring devices can provide a more accurate and cost-effective solution when it comes to keeping track of your lone workers. Lone worker safety devices come in various forms, including wearables and mobile phone applications. Depending on your business needs, the type of device that is best for your workers may vary. Some workers will benefit from devices that use tilt sensors to sense when a worker may be unconscious. These devices will automatically trigger an alarm if it detects that the user could be unconscious. These devices can be great for lone workers that find themselves in remote locations and may be at risk of an injury caused by falling items. Other devices may be suited to your business, so it's a good idea to identify which device will be the most beneficial to you. In reality, the implementation of an effective lone worker solution is nowhere near as costly as many perceive. Firms may not need to buy an expensive new system, with most legacy systems capable of being enhanced to include lone worker functionality. Moreover, with good advice from a specialist technology partner, lone worker tools can be integrated with other existing IT systems to bring additional functionality to communications right across the enterprise. The examination of lone worker capabilities presents a powerful opportunity to address the communications needs of all departments simply and cost-effectively. This not only secures buy-in from stakeholders right across the business, but it demonstrates collaboration and employee engagement that can only improve productivity. A good telecoms partner can use existing technologies to design solutions that satisfy the communications needs of all employees. This can turn the daunting increase in corporate manslaughter penalties into a stimulus for renewed business growth. The smartest organisations will be those that find the right partner and start proactive, collaborative discussions to tailor the most appropriate solution.